HMV overtakes Amazon's music sales but is there really a future for CDs? HMV overtakes Amazon's music sales, but is there really a future for CDs? The chain's owner is adamant CDs are 'nowhere near dead'. MT's not so sure. There's some pretty good news this morning from another retailer that's made a decent job of Christmas. Back from the ashes of its dramatic slide into administration two years ago, today HMV announced it had nudged above Amazon UK in terms of physical music sales as a resurgence in the popularity of LPs drove music aficionados back into stores. Sales of vinyl soared by a stunning 170% in 2014 as HMV shifted 350,000 of them, capturing around 30% of the total market. Like-for-like sales of CDs were up 1.5% despite a market decline of 4.9% in the same period. Given that it has ditched a third of its retail space, HMV's triumph over Amazon might be seen as impressive, except for the fact that of course the latter has zero retail space. The news may be seen as a victory for the resilience of physical formats, which have been under siege from downloads for more than a decade and, more recently, streaming services like Spotify. 'CD nowhere near dead yet :)' McGowan tweeted this morning, but MT isn't so sure. Stats from the Official Charts Company and BPI show that CD album volume sales have more than halved from 112.5 million in 2009 to 65 million in 2015. Between 2013 and 2014 the number of audio streams doubled to 15 billion, meaning it now accounts for 12.6% of all music consumed in Britain. It's a trend that's hard to ignore. 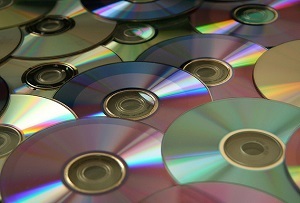 As digitisation becomes even more of a core element of our daily lives and connectivity (hopefully) improves, it's hard to see the popularity of streaming waning, and that will surely only be bad for the CD market. But who knows, maybe in 30 years time headlines will hail a 170% soar in CD sales as consumers hunt out retro formats for their nostalgic value. Don't bet on a revival of the awful cassette tape though.